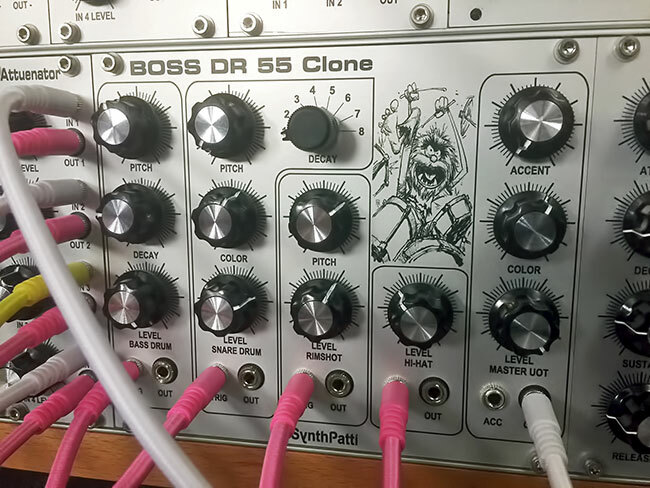 This is the new v1.1 board which has a couple of minor improvements in the layout to make it easier to install individual outputs for the sounds. 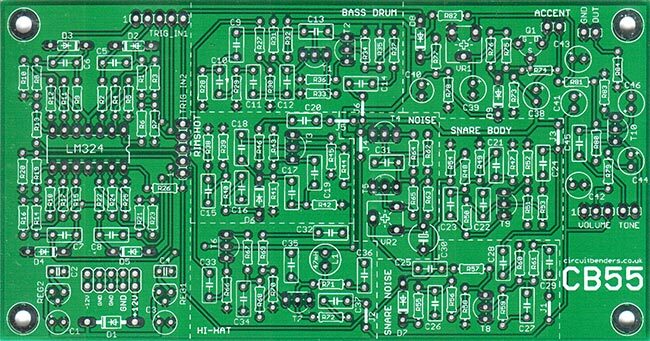 You can download the build guide and parts list for the most recent R1.1 PCB's from HERE, There is also a dedicated board on our forum for any build queries you may have, or potential mods you want to suggest and discuss. To take a look click HERE. 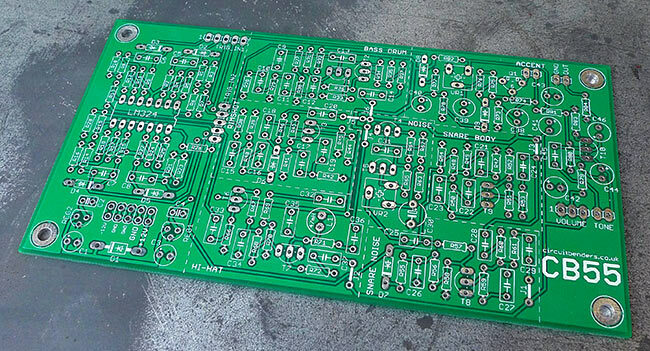 The schematic and the build guide for the original R1 PCB's are also available via the forum. 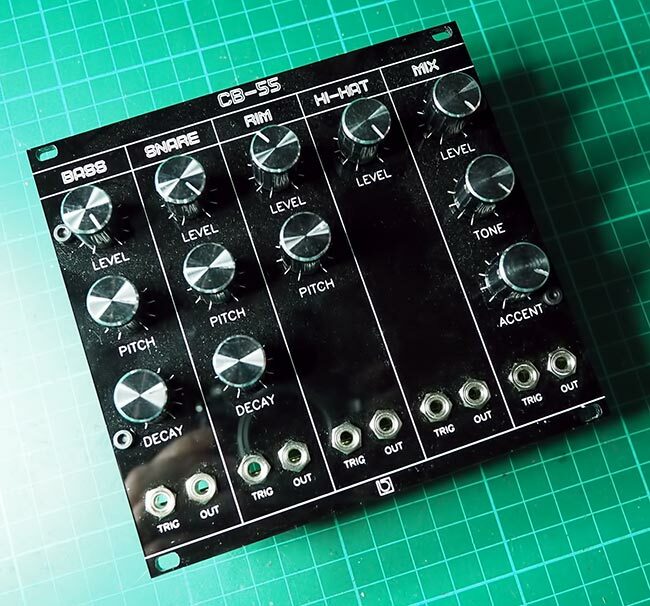 A thread on Muffwigglers devoted to the CB55 can be found HERE. 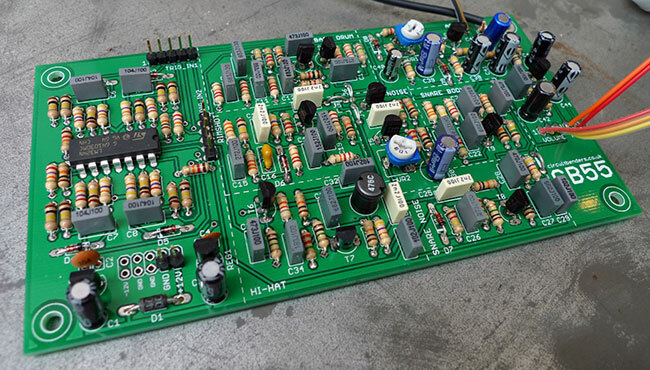 If you build something interesting with one of these boards then let us know via the CONTACT page and we'll be happy to put up a photo and a link to your site here.